Love staying out till 4am, breaking out your best club clothes, and joining in on dances (even if you don’t know the moves)? Then you and Brazil are perfectly matched. Brazil is full of vibrant festivals and parades, and cities like Rio de Janeiro and Salvador da Bahia have a great, diverse nightlife to boot. Jazz music pulses through the clubs and streets. Brazil is already an exciting country with top-notch beaches, cuisine, and shopping. But it truly comes alive when the sun sets, the music gets louder, and the dancing starts. Traveloti is offering a way for you to get in on the action with a fabulous dance tour through the iconic cities of Rio de Janeiro and Salvador da Bahia, Brazil’s best hot spots. In Rio, take a samba class to get in the dancing spirit, and then take your new moves out on the dance floor. Soak up some Brazilian jazz in a cute club in Lapa, one of the best neighborhoods for nightlife. Then in Salvador, it’s time to check out capoeira. You would be hard-pressed to find a dance as unique as the capoeira, an intriguing combination of dancing and martial arts, so a visit to a school to learn about its history and technique is in order. This trip features more than just opportunities to cut loose. Take a bike tour of Rio and eat your way through Brazilian cuisine tours far away from the typical tourist haunts. Enjoy refreshing cocktails and rooftop pools. Even watch cigars get rolled. You don’t need to have a great sense of rhythm to have the time of your life on this trip to Brazil. Arrive in the Cidade Maravilhosa and enjoy your first morning getting settled or strolling the beach paths of Ipanema & Copacabana. In the afternoon you’ll embark on a food tour of the city, exploring Rio’s lesser-known food scene in the neighborhoods far from the typical tourist traps. Return to your hotel and sip on a Caipirinha at the rooftop pool while you watch the sunset. Board a train taking you up the beautiful mountainside before arriving at the feet of Christ the Redeemer, one of the seven “New Wonders of the World.” From here you’ll head toward Santa Teresa, home to several twentieth century mansions, cultural houses, galleries and gourmet restaurants. Return to the hotel and prepare for a night out in Lapa. Once the sun goes down, this normally quiet neighborhood turns into a bustling and vibrant area full of restaurants, nightclubs and bars. You’ll go right to the heart of the action where local guides will accompany you to one of the best clubs in Lapa, Rio Scenarium, a mix between an antique shop and an auction room, where locals come to listen to traditional Brazilian jazz and samba. Embark on a bike tour of Rio’s “Zona Sul” area, comprising the famous beachfront neighborhoods of Leblon, Ipanema, Apoador Copacabana and Leme. After cycling, you’ll enjoy some ziplining, canopy walking and hiking overlooking the amazing views of Brazil’s beautiful lake Lagoa, Christ Redeemer and the city’s endless mountains. Head out for a late visit to Sugarloaf Mountain, where you’ll ride up the cable cars and enjoy some of Rio’s greatest views at sunset. From there your guide will take you to one of Rio’s famous Carnival samba school’s “practice sessions”, meaning just a giant party with live music and some of the most incredible samba music (and dancing) you could possibly imagine. Today is your day to enjoy the city at your own speed. Get some hours of sun in at the beach in front of your hotel, visit the Botanical Gardens or go for a shopping spree in one of Rio’s countless fashion-forward city malls. Say goodbye to Rio as you head north to Salvador da Bahia, the country’s first capital and its cultural epicenter. Get to know the city’s most famous neighborhood, the Pelourinho, with an afternoon walking tour with your private guide. Here you’ll be introduced to the unique history and culture of Salvador, a city heavily influenced by Afro-Brazilian elements. Stick around afterward for dinner and drinks and wait for the Bahian nightlife to begin. Enjoy a food tour today, including a stop to Sao Joaquim market, the largest open air market in Brazil. You’ll end with lunch at a local restaurant to try the main dishes of Bahian cuisine. After lunch, you’ll discover the story of one of Brazil’s most fascinating and historically significant traditions: capoeira. During the visit to a traditional Capoeira School, you will have the chance to meet Capoeira group leaders to learn about the sport, its history and philosophy. Later, you will see the Bahia Folklore Company perform in the intimate Miguel Santana Theatre in the Pelourinho in a stunning presentation of the multiple African traditions that heavily influence the Bahian culture. 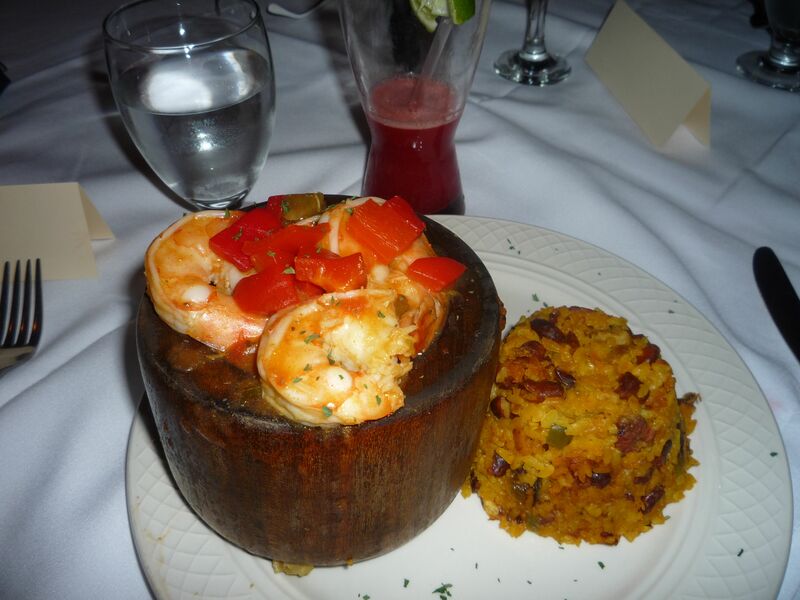 Following the show, you’ll go to Uaua for a mouth-watering dinner composed of Bahia’s most traditional cuisines. Leave Salvador behind to explore the farm hinterland on the western side of the All Saints’ Bay. This is the land of sugarcane plantations, peaceful colonial towns and busy country markets. Cross the western bank of the river and visit the Danemann Cultural Center, where world-class cigars are expertly rolled. Enjoy some time back at the hotel to relax before heading out for a night on the town in the Rio Vermelho neighborhood. The first stop will be to savor the acarajé and a cool drink (first drink is on us!). Catch one of the musical performances. Unsicht-Bar offers a sensory experience that will never be forgotten as you abandon your most powerful sense, sight.